Mrs.B delivered her puppies on November 25 she had 5 beautiful ones. There are 3 boys and 2 girls. Reserve yours toady! Author megandelanoPosted on November 26, 2017 Leave a comment on We have puppies! Mrs.B will be having Thanksgiving puppies! 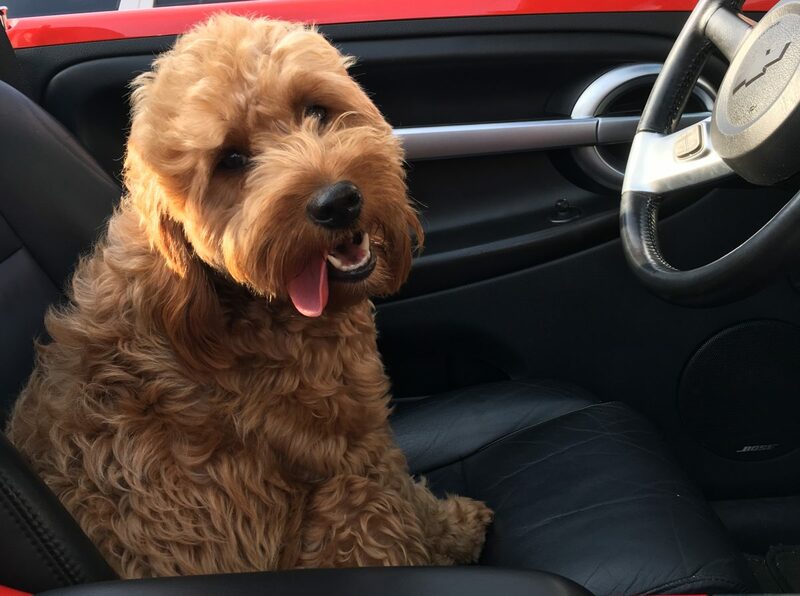 Reserve your precious doodle before they are all spoken for. More pictures to come when they are born! Author megandelanoPosted on November 14, 2017 Leave a comment on Mrs.B will be having Thanksgiving puppies! 8 weeks old and ready for their furever homes! Author megandelanoPosted on July 14, 2017 Format Gallery2 Comments on 8 weeks old and ready for their furever homes! They are 2 weeks old today! Author megandelanoPosted on June 3, 2017 2 Comments on They are 2 weeks old today! Mrs.B has delivered 5 males and 1 females. They are expected to be curly and non Shedding. All are red and some with white markings. Pictures to follow in the next few days! 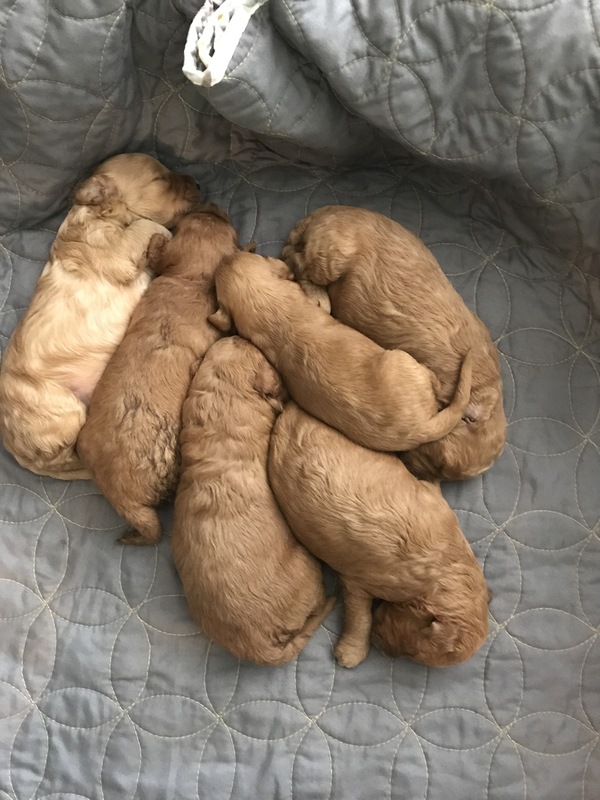 Mrs.B is expecting a litter of Miniature Multi Generation Golden doodles. They are due to be here on May 14 and will be able to go home July 14. Author megandelanoPosted on April 25, 2017 2 Comments on We are expecting puppies!